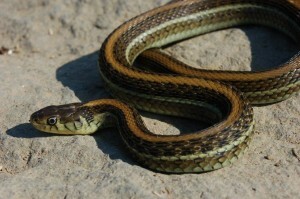 Thamnophis eques diluvialis, a subspecies of the Mexican Gartersnake, is very rare in private gartersnake collections. This subspecies occurs in the area north, west and south of the western tip of lake Chapala, but does not look at all like the dark specimens with the typical blue coloration of T. eques inhabiting the nearby lake Chapala (T. e. obscurus). Thamnophis eques diluvialis has been described by Conant (2003). Conant named this subspecies diluvialis as a reference to the probable origin of the habitat where this subspecies occurs. 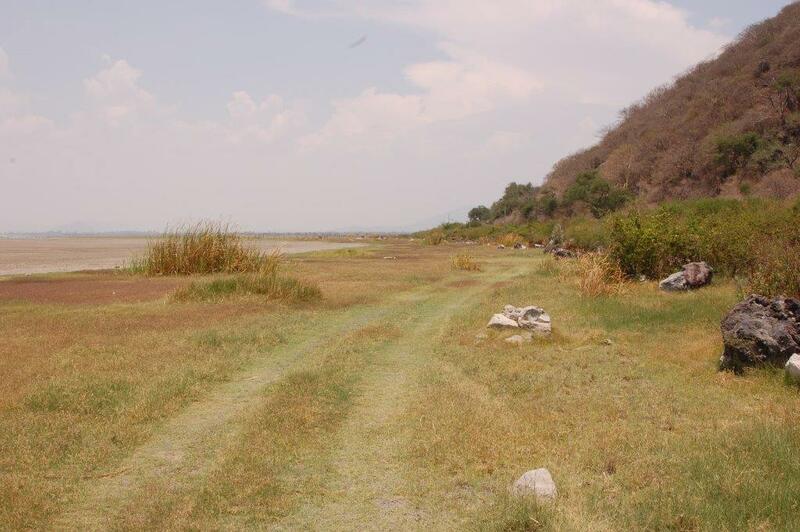 In past times lake Chapala’s water levels had risen so high that the lake spilled its waters at the western corner of the lake into a nearby bassin, and this huge flooding of land created the habitat for the Diluvial Garter Snake. 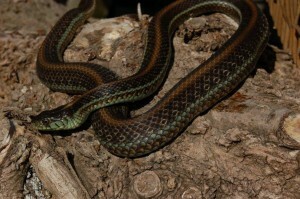 T. eques is a very large and heavily built species of garter snake and Conant (2003) had set the new record for T. eques (obscurus) at 121,6 cm total length. Especially female Thamnophis eques can grow very large and heavy. In fact adult female T. eques are the largest garter snakes I have ever seen. The only garter snake that really grows to much larger size is Thamnophis gigas from California. The new record for T. eques is now set at 130,7 cm (Bol & Bruchmann, 2012). Conant (2003) mentions a large gravid female T. e. diluvialis of 103,1 cm total length. My largest adult female is 109 cm TL at an estimated age of 8-9 years. I expect that T. e. diluvialis can reach a similar maximum size as T. e. scotti and T. e. obscurus. Distribution of T. e. diluvialis. The main centers of the distribution of Thamnophis eques diluvialis are lake Cajititlan and lake Atotonilco according to Conant (2003). But he mentions also some other locations in between and around these two lakes. For instance Estipac, which lays approximately 35 km west of the western tip lake Chapala and Playa de Santa Cruz, which lays approximately 25 km northwest of the northwestern tip of lake Chapala. 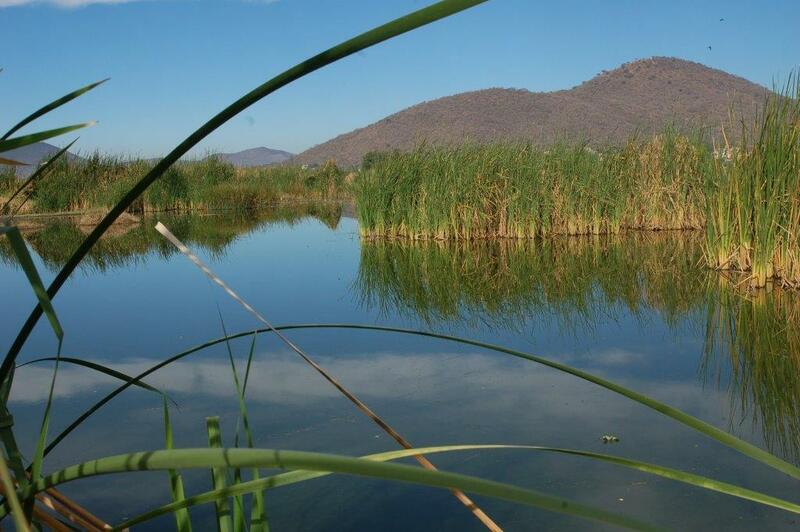 Conant (2003) has not been able to find them in some of the little lakes south of lake Atotonilco (Laguna de San Marcos and Laguna Sayula) and he also mentions that he expects the Laguna de Sayula to be too saline to support garter snakes and their food items. A friend of mine however has explored a lake further south (lake Zapotlan, north of Ciudad Guzman) where he found Thamnophis eques to be abundant. They are very similar to the ones from lake Cajititlan and very likely belong to the subspecies of T. e. diluvialis. 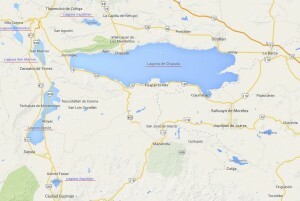 This location is approximately 50 km south of the southwestern tip of lake Chapala. Observations on T. e. diluvialis in the wild. Conant (2003) describes in his article his observations and where he found the Diluvial Garter Snake in Jalisco, Mexico. 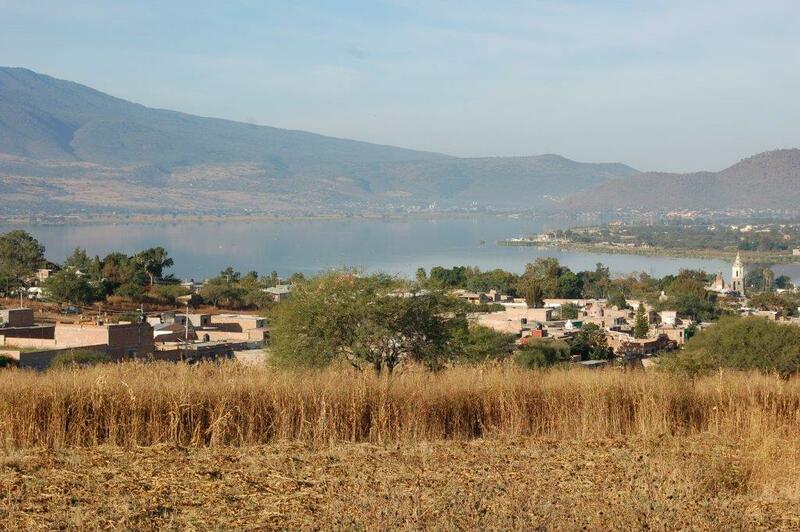 I have visited the lakes Atotonilco and Cajititlan several times in 2007, 2008 & 2010. 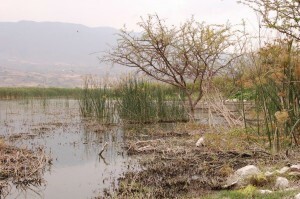 My visits to lake Atotonilco have not revealed any evidence that T. e. diluvialis (nor T. melanogaster) still occur here. The first visit was in May 2008. Water levels were extremely low and the lake had almost completely dried up. At some places there was some water left, but it was impossible to get there due to the muddy bottom of the lake. The rainy season had not started yet. Later in that same year in November I visited the lake again. 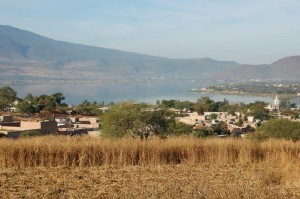 The lake had filled during the rainy season. Also this time no sign of any Garter Snakes around the lake, despite intensive searching. 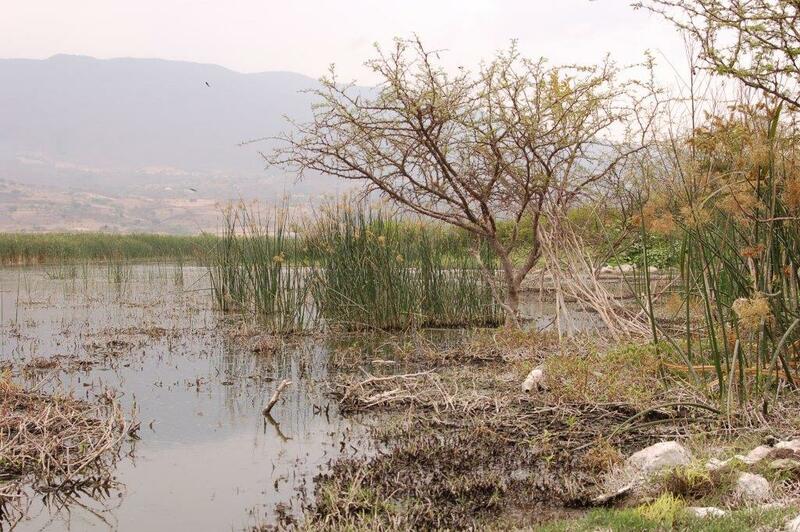 Of course one cannot conclude that T. e. diluvialis has become extinct in lake Atotonilco based on these two visits, but it did not look very promising. 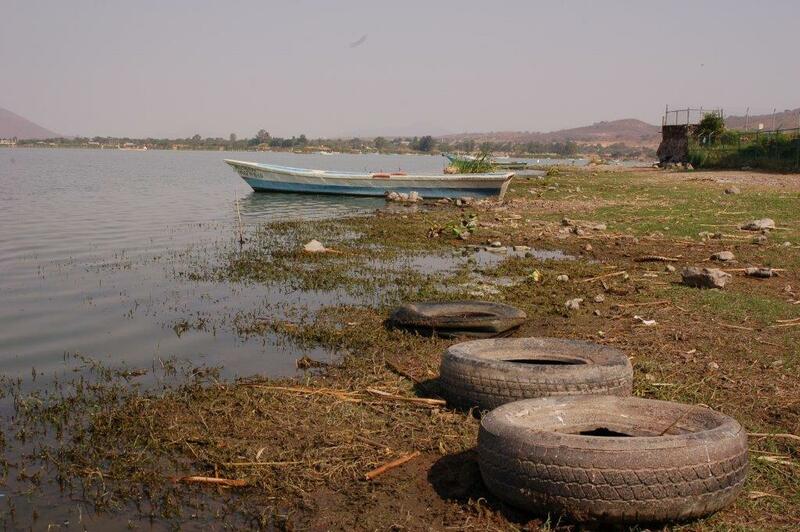 November 11th 2007 I spent a few hours at lake Cajititlan in the little harbor of the town Cajititlan. Upon arrival at 9 AM the sun felt strong. Temperatures were rising quickly up to 27 ºC. There were a lot of people in the little harbor and the water looked somewhat dirty and green of the algae. Several garter snakes were found after turning rocks and debris at the shore of the lake. Two of them were Diluvial Garter Snakes: a female of 46,5 cm total length (36,5 SVL +10 TL) and a male 60 cm TL (47 SVL +13 TL). The female had milky eyes as a sign of future shedding, the male was about to shed its skin. 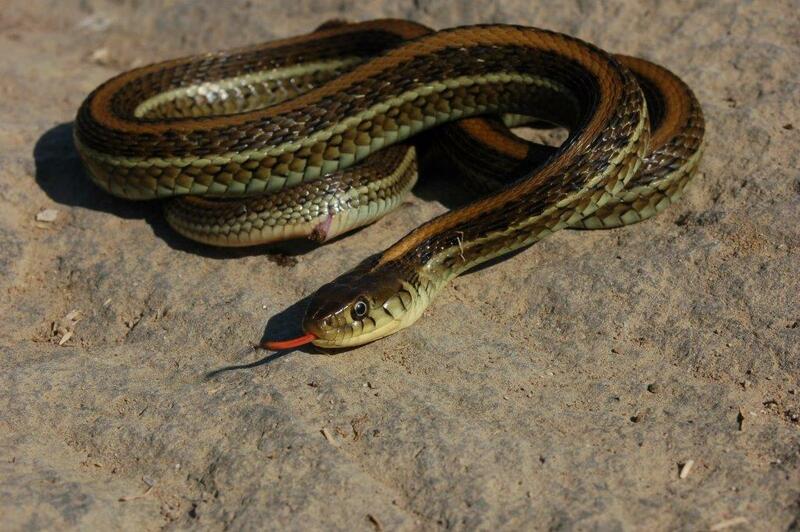 The other 4 Garter Snakes were Mexican Black-bellied Garter Snakes (T. melanogaster canescens), all approximately 45 cm TL. May 30th 2008 I spent almost a whole day around lake Cajititlan. Water levels were much lower than November of the previous year. I found in total 6 Mexican Black-bellied Garter Snakes and 2 Diluvial Garter Snakes. One of them was swimming in the lake, the other one was hiding under a tire on the muddy shore. It was a well fed adult female of 77 cm TL (61 cm SVL and 16 cm TL). Three of the T. m. canescens were basking near the shores, the other 3 were found hiding under objects. All were adults snakes of 40-50 cm TL. It was a hot day and maximum temperatures were approximately 35 ºC. November 29th 2008 I visited lake Cajititlan again. Again I found more T. m. canescens (8) then T. e. diluvialis (2). All snakes were hiding under objects near the shore of the lake. 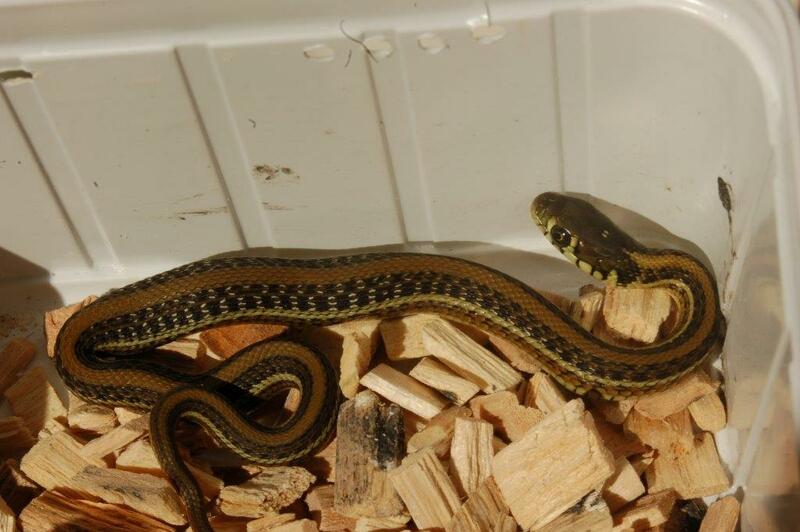 The smallest of the 2 Diluvial Garter Snakes was probably a “young of the year” (meaning a baby born that same year in the summer): a male of 33 cm TL (27 cm SVL and 6,3 cm TL). The bigger one was a female of 43 cm TL (35 cm SVL and 8 cm TL), probably born the previous summer. In January 10th 2010 the lake was visited a fourth time. I lost my notes, but one of the snakes I found basking near the shore was a large female Diluvial Garter Snake of approximately 100 cm. So the Diluvial Garter Snake shares his habitat with the Mexican Black-bellied Garter Snakes like at many other locations, the Mexican Black-bellied Garter Snakes being the more prominent species at this location. The fact that snakes are active late in November and early January seems to indicate that the snakes are not hibernating. Although the numbers I found were low all size classes were found which indicates that T. e. diluvialis is reproducing at this locality. Thamnophis eques diluvialis is a brown garter snake with 3 clearly defined stripes. 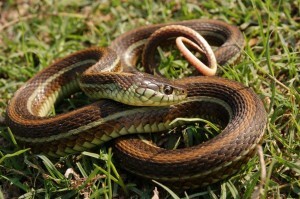 The dorsal stripe is yellow-orange, the lateral stripe is whitish or greenish. In old specimens it can also show some bluish coloration, as is clearly visible in my old female (min. age 8-9 years, see picture). The dorsal stripe is (according to Conant, 2003) 3 scales wide, although sometimes also the adjacent scale rows are involved making the dorsal stripe 5 rows wide. There is a double row of dark spots in between the stripes, but usually they are inconspicuous unless the snakes are pregnant or have recently eaten a large prey. This subspecies looks a bit like T. e. scotti, although scotti’s normally are lighter colored, more spotted and way more variable in coloration. 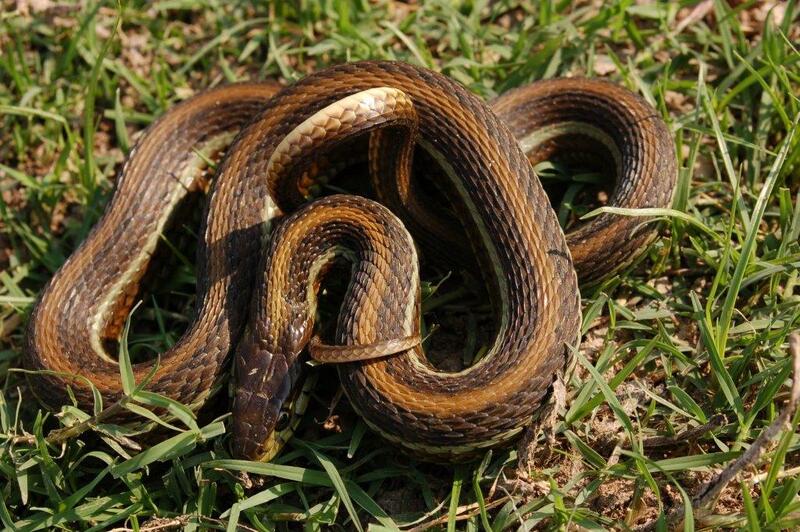 Plus the dorsal stripe is usually less well defined giving T. e. scotti a less striped appearance. The Diluvial Gartersnake does very well in captivity, just like the other subspecies of T.eques. Due to its large size it is recommended to keep them in a terrarium with a minimum size (for one adult couple) of 100 x 50 x 50 cm, although a length of 150 cm would be more suitable. They do well in a dry and well ventilated cage with just a water bowl for swimming and drinking. The water bowl should be big enough for them to submerge in. Local temperatures in the terrarium should rise to 30 – 35 °C. T. e. diluvialis are voracious feeders and relatively easy to keep. The snakes show themselves a lot basking on a branch under the lamp. Especially when the terrarium is not so warm and the snakes need to bask on the hottest spot to reach their optimal body temperatures. A hibernation is not necessary. A cool period in the terrarium of 2 – 3 months mimics the natural situation and will probably be sufficient to keep the snakes in good health and to stimulate breeding. Up to now I hardly give the snakes a hibernation. But the snakes are clearly less active in the coldest winter months; they bask less and often refuse to eat for several months. So do not worry when this happens. During the winter months night temperatures in my snake room (and in the terrariums) drop at some nights as low as 8 – 12 °C. I keep my adult snakes in a completely dry terrarium with a water bowl. This species is also very suitable for a so-called “aqua-terrarium” with a lots of water and only a small (completely dry!) land part which is heated by a powerful lamp to 30 – 35 °C. In such a habitat terrarium the highly aquatic snakes will show more of their natural behavior. In 2013 the young were born in my terrarium early June. 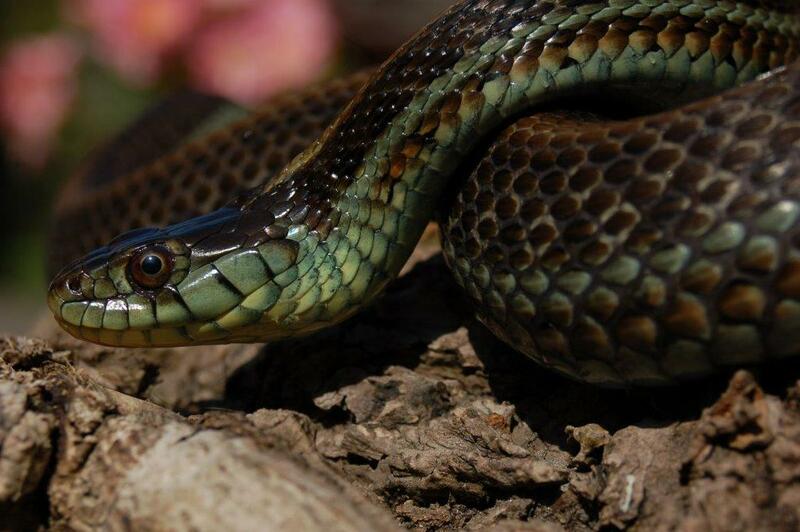 My recent article about Thamnophis eques scotti (Bol & Bruchmann, 2012) that can be found online in English on this website can serve as a standard recommendation (care sheet) also for this subspecies of the Mexican Garter Snake. My breeding group consist of (offspring of) 4 adult (unrelated) wild caught specimens. 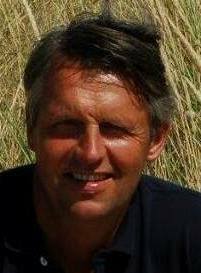 I am breeding this subspecies since 2013.